Becoming an entrepreneur and founding a company is not easy. Fact is, that 90% of all startups don’t survive the harsh business world. But why? Here are our top 3 reasons why startups fail. 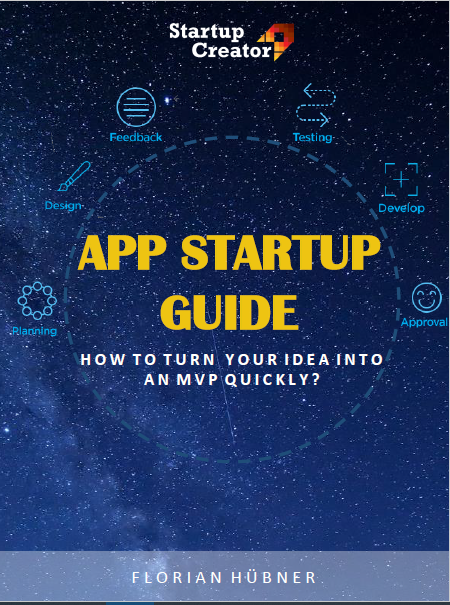 Everything is based on research; Your product, your costs, your location, your whole company. Well, at least it should be. Entering the startup world unprepared can result in an early end for your business. Many entrepreneurs do the mistake to not research their market properly beforehand. Their product or service can be unique, interesting and of high quality – As long as there is no market need for it, no one will buy it. Period. If you want to be successful, you should offer people what they really need, not what you think would be fun to do. Equally important is a competitor analysis. Who are the main players on the market? What are their strengths and weaknesses? How can I differentiate my product/service from theirs? If you can’t answer these questions, you will have a major problem prevailing your startup against the competition. Entrepreneurs often have the idea of the perfect business in their head. The perfect product, the perfect office, the perfect type of customer. They are stuck in their ideals and want to prove to the world that they’re right. Surprise, surprise: This attitude will not get you anywhere.Especially in the beginning it is important to adapt quickly to things that deviate from your original plan in order to move forward. A common mistake is to choose the wrong target group. Many entrepreneurs are obsessed with their perfect customer and try to reach this segment no matter what. “Why are they not buying my product?”, “Maybe a different approach will help.”, “It can’t be! Nothing works on them!”. Proper research would have probably revealed that the target group is insufficient for the regarding product and that a different segmentation would be more effective. When has a startup officially failed? The most obvious answer is: When it runs out of cash. Miscalculating the budget is a mistake done more often than entrepreneurs like to admit. There are so many things that need to be done, so many things that need to be paid – but not enough revenue to cover these costs. You get into a vicious cycle that is hard to break. You are paying one expense after another, you lack the money to invest in the growth of your business and before you know it, you are bankrupt. To avoid this scenario, be 100% sure that you have enough budget to cover the costs for the time period without cash flow, before launching your startup. If not, wait until you are ready. Be realistic and expect the unexpected. There are always things that go wrong, which require fixing. It is better to calculate less profit and more expenses in your financial planning. As soon as your business is showing signs of struggling, it becomes more and more difficult to find investors or getting a loan. Miscalculating your budget can go both ways. Either you spend too much, so your savings cannot cover it anymore, or you spend too less, so you won’t make any progress and stagnate. The golden rule of finding a good balance applies in this case. Spend enough to progress, but be aware of what is really necessary and what is not. It’s not easy. Managing the finances is one of the most difficult tasks of an entrepreneur. Check out one of our previous blog posts if you want to find out more about the budgeting of startups. Company culture is important. Especially for startups. At the beginning of your company’s life cycle, your team will most likely be very small and consist of less than 10 people (it depends on your business, obviously). This means you will work closely together. Very closely. If you don’t get along with each other, you have a big problem. A negative working climate affects the overall efficiency, motivation and trust of the team. Your team members need to be picked wisely. They are the soul of your company. They make your vision reality. If they lack certain qualities, skills and characteristics, it’s going to be a hard time for your startup. A perfect team should chime together, balance each others strengths and weaknesses, and represent the core values of your company. With the perfect team, everything is possible. Work becomes more fun, creative thinking processes are getting stimulated and the overall productivity and efficiency increases. Those, who have already worked in such a team, know what we are talking about. It can make all the difference for the success of your startup. 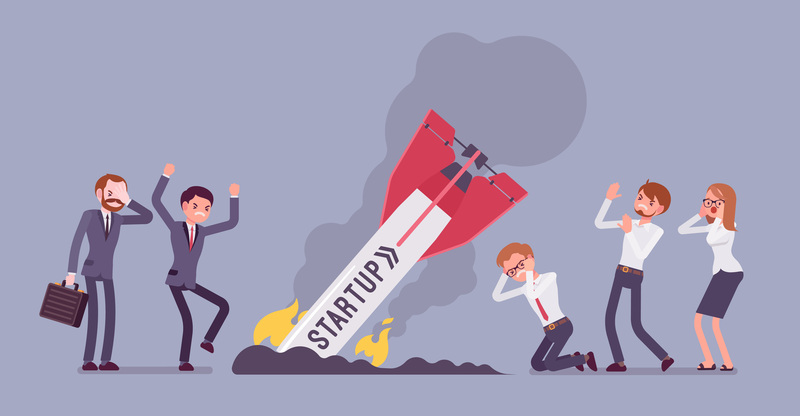 Several more reasons can lead to the downfall of your startup, like bad online presence, wrong marketing approach, or a lack of passion. But in the end, it all comes down to these 3: No proper research, miscalculated budget and the wrong team. There are countless examples for failed startup ideas. This does not have to be you. Learn from their mistakes, prepare yourself and don’t rush into things. With the right approach, everything is possible. Good luck!